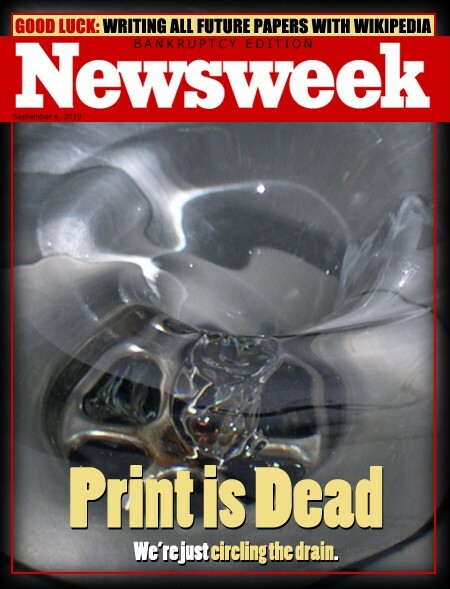 For years, the media related rhetoric has been: "Print is dead." The news of the last print edition of the Seattle Post-Intelligencer and the closing of the Rocky Mountain News, both in 2009, shook newsrooms to their core. Online news sites like the Huffington Post, Politico, Patch and Salon have gained popularity and shifted the way people get their news. Newspapers have gotten smaller and there are fewer subscribers. But is it because people don't want papers? Or just that there isn't as much money in them and the content is declining? Last year, New Orleans became the largest U.S. city to not have a daily paper. The Times-Picayune became a three-per-week publication with more focus on the online content. That apparently is not what people want. In an article in the New York Times, reporter David Carr noted the publisher decided to bring back the paper as a daily because of the public engagement. Also, the Philadelphia Inquirer is set to publish again; though only on Saturdays. On Wednesdays, Fridays and Sundays, a broadsheet called The Times-Picayune will be available for home delivery and on the newsstands for 75 cents. On Mondays, Tuesdays and Thursdays, a tabloid called TPStreet will be available only on newsstands for 75 cents. In addition, a special electronic edition of TPStreet will be available to the three-day subscribers of the home-delivered newspaper. On Saturdays, there will be early print editions of the Sunday Times-Picayune with some breaking news and some Sunday content. But the public demanded it and they listened. When I went to J School, everyone I knew said I was studying a dying industry. After all, "Newspaper Reporter" is apparently the worst job out there. I always argued it was reporting I was studying, not newspaper reporting. And I figured no matter what, there would be a medium for the message. I am sure there will be a day when print is dead—environmentally speaking, it certainly makes more sense to have news delivered electronically. But apparently even today, people argue for print. And while I am a news junkie and look at it online constantly, there is nothing like a cup of coffee and the Sunday New York Times—in print—to make me happy.